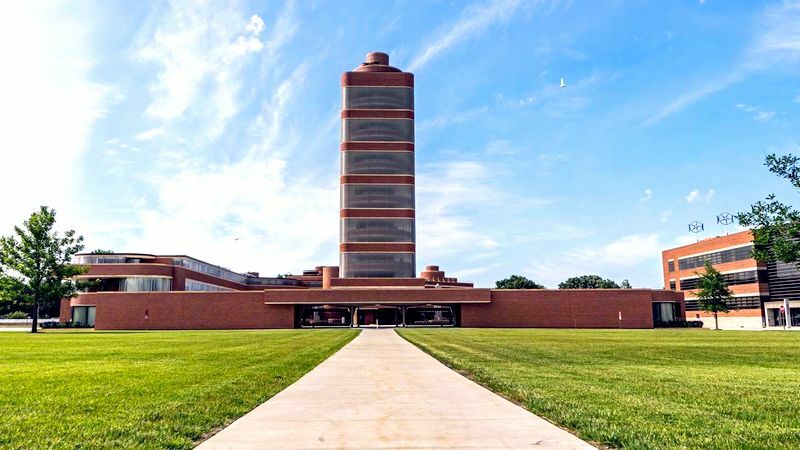 If you have any interest in Frank Lloyd Wright or architecture in general, this is the tour for you! 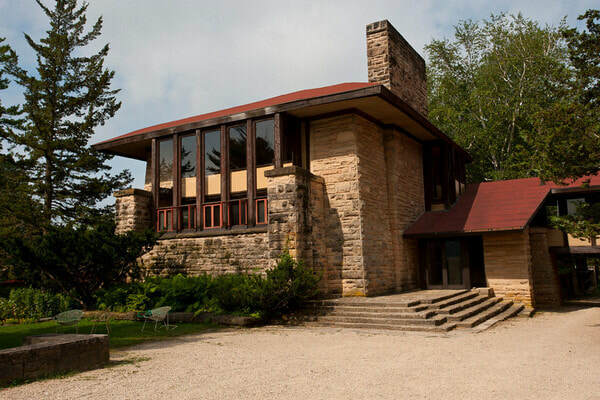 Tour Frank Lloyd Wright's home and studio at Taliesin, get guided tours at the S.C. Johnson Wax Administration Building, Research Tower & Fortaleza Hall in Racine and tour the Monona Terrace Convention Center in Madison. Includes a lunch at Taliesin in the Riverview Terrace Cafe and finish your trip with a guided tour of the world famous Frederik Meijer Gardens & Sculpture Park in Grand Rapids, MI. NOTE: The tours at Taliesin tour require a significant amount of standing, stair climbing and walking on uneven terrain. There are several series of steps and some with no handrails. Some exterior walkways consist of loose gravel or grassy pathways. There is no opportunity to leave the group should you wish to stay behind. This tour is not recommended for those with mobility concerns. Round trip transportation on deluxe bus with a washroom and WiFi. 3 nights hotel accommodations included. 2 lunches included: 1 lunch at Riverview Cafe at Taliesin and 1 lunch at Reefpoint Brewhouse on Lake Michigan in Racine, WI. 1 dinner included: 1 dinner at Madison Supper Club. Guided tour at SC Johnson Administration Building, Research Tower and Fortaleza Hall in Racine, WI included. 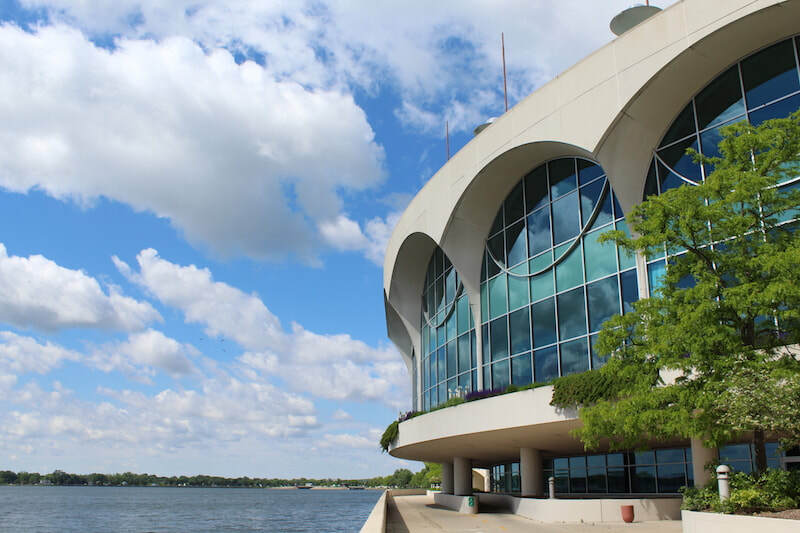 Guided tour of Monona Terrace Convention Centre in Madison, WI included. 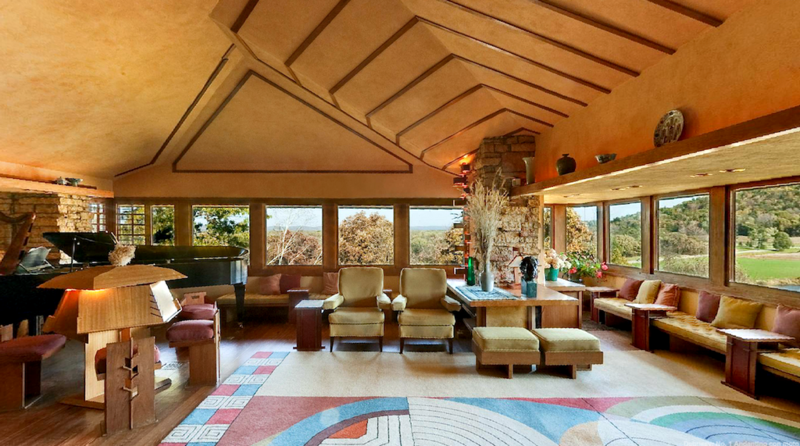 Guided tour of Frank Lloyd Wright's house at Teliesin included. 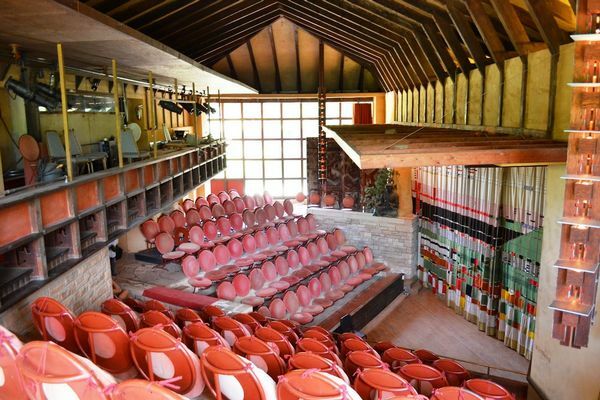 Guided tour of Studio & Theatre at Taliesin included. 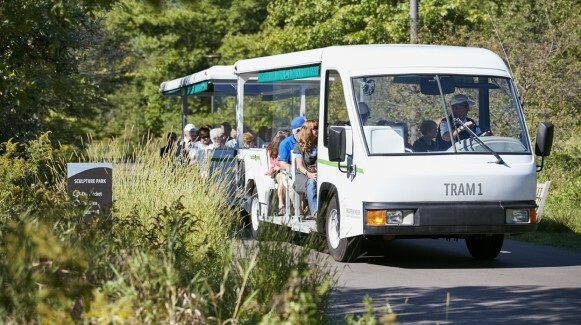 Admission & guided tram tour at Frederik Meijer Gardens & Sculpture Park in Grand Rapids, MI included. Complimentary bottled water and snacks on bus. Escorted tour with ShortTrips.ca tour director available at all times during tour. 10:00 AM - Kitchener Carpool Lot, Hwy 401 & Homer Watson Blvd/Fountain St.
﻿All prices are per person, in Canadian dollars. All taxes & tips included! Full refund if cancellation received at least 30 days before departure. Sorry but no refunds if cancellation is received less than 30 days before departure. US Immigration requires that all travellers MUST have a passport (or Nexus or EDL cards). If you do not have a Canadian or USA passport, please make sure that you have the appropriate permissions or documentation to travel to the USA. 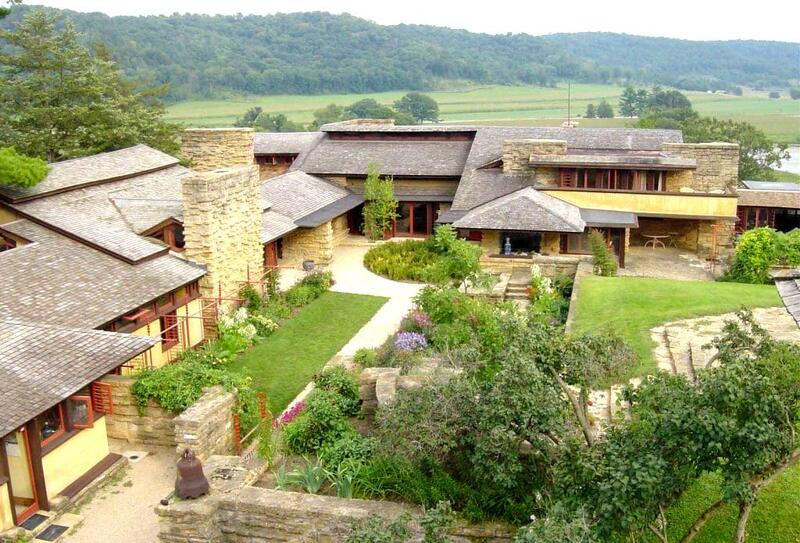 Taliesin, the home, studio and country estate of Frank Lloyd Wright, is located in the hilly region of southwestern Wisconsin near Spring Green. It is the name of Wright’s house as well as the 800-acre estate that includes buildings from all decades of Wright’s career. The House Tour guides you through rooms that Wright imagined, and built, exploring the rich canvas he worked on for most of his life. On this 2-hour walking tour, you’ll experience the: Living room, Loggia, Bedrooms, Wright’s Personal Studio, Landscaped gardens, Wright’s original furnishings, Collected objects and Asian art, Terraces and courtyards. Frank Lloyd Wright first designed Hillside in 1902 for his aunts, who ran an innovative children’s boarding school based on the motto “learn by doing.” Wright’s building, as innovative as the school it housed, is situated on land cleared by his pioneering grandparents. Some of the highlights of this 1-hour walking tour include: Assembly Hall, Hillside Drafting Studio, Romeo & Juliet windmill tower & Hillside Theater. After his aunts retired, Wright re-opened their building and expanded it to accommodate a community of architects and designers...a community that continues to live and work at Hillside to this day. Opened in 1939, the SC Johnson Administration Building is celebrated as one of the top 25 buildings of the 20th century. From its 43 miles of Pyrex glass tubing to the dendriform columns soaring in the Great Workroom, it is truly a unique work of art that reflects the innovation and adventure that are still the spirit of SC Johnson today. ​The Administration Building is the only Frank Lloyd Wright commercial building still in use today. 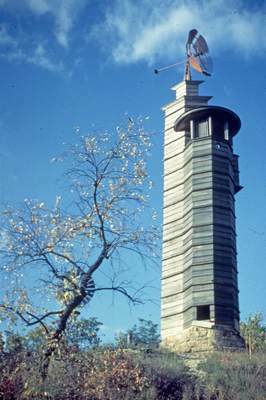 The Research Tower was Frank Lloyd Wright’s vision of a vertical complement to the Administration Building. Opened in 1950, the Research Tower is one of the tallest structures ever built on the cantilever principle. It stands 153 feet tall and its central core, which is 13 feet in diameter, extends 54 feet into the ground. All 15 floors of the Research Tower are supported by the “taproot” core, much like a tree supports its branches. The Research Tower was opened to the public for the first time in spring 2014. 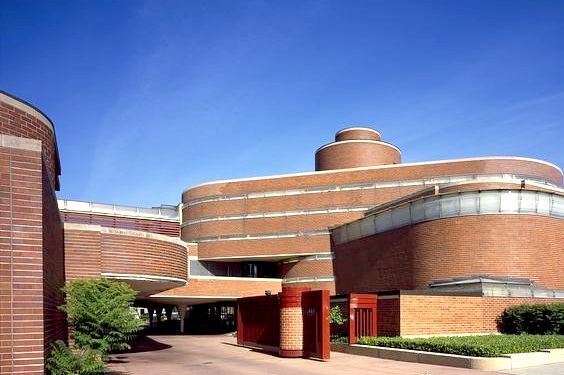 Fortaleza Hall is a contemporary partner to the innovative buildings and offerings of Frank Lloyd Wright. Opened in 2010, Fortaleza Hall was named for the city in northeast Brazil that was at the heart of two life-changing expeditions by the Johnson family and represents a commitment to the company’s legacy of visionary thinking and inspired architecture. ​Soaring at the building's heart is the replica twin-engine S-38 amphibian plane that Sam Johnson flew to Fortaleza, Brazil in 1998. 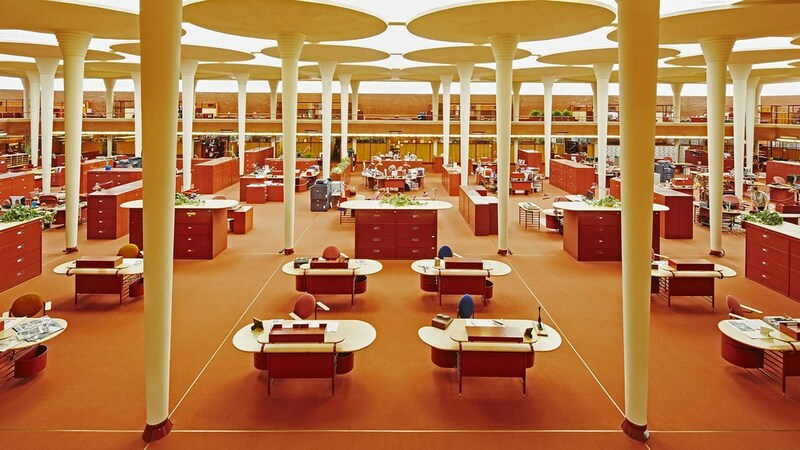 Located in Madison, WI, the city built the complex 56 years after Wright first proposed it. Wright’s desire to secure a public structure in his hometown made him willing to be compensated just $250 in exchange for roughly 63,000 hours of staff time toward the project over a span of 21 years. He would not live to see it completed. The exhibition hall, ballroom, banquet hall and media center marry modern technology and amenities with the architect´s signature organic design. A pedestrian plaza spans 90 feet over Lake Monona, connecting it seamlessly to its environment, and a 68,000-square-foot rooftop garden crowns the civic center. The only venue on our tour that is not a Frank Lloyd Wright design but this is a signature 158-acre botanical garden and outdoor sculpture park located in Grand Rapids, Michigan. 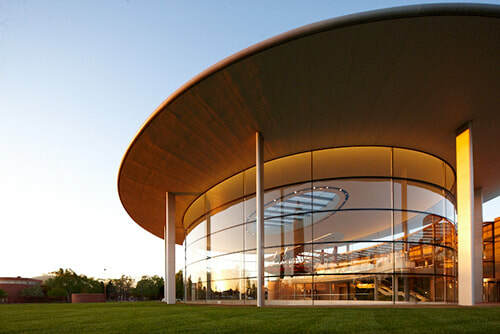 The Wall Street Journal wrote that "There's nothing quite like Frederik Meijer Gardens & Sculpture Park this side of the Kroller-Muller Museum and Sculpture Park in The Netherlands". In May 2009, it was named one of the top "30 Must-See Museums" in the world and is Michigan's second-largest tourist attraction. Of specific note is that in 2014 it acquired Iron Tree by Ai Weiwei and opened an 8-acre, $22 million Japanese Garden. On this visit you will get a 45 minute guided tour of the park on their electric tram. Lunch will be on your own in the Garden Cafe. For more information on the menu options, please click here.